THANK YOU for visiting our website and expressing your interest in how to build a culture of CONTINUOUS IMPROVEMENT in the workplace through engagement of staff in seeking to improve customer satisfaction every day in every way. 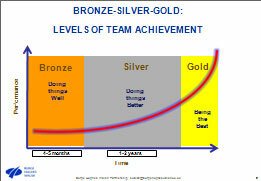 The Masterclass session delivered at the Lean Government Conference in September 2012 demonstrates by two examples the effectiveness of the ‘Bronze-Silver-Gold’ methodology in embedding a culture of continuous improvement, resulting in improved service performance. 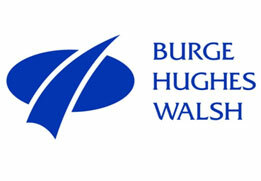 From this page, you will be able access content about the BRONZE-SILVER-GOLD methodology and the two case studies. 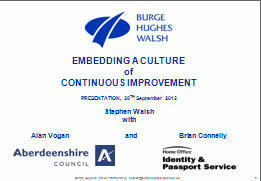 Speaker #3: Brian Connelly, Improvement Manager, Identity & Passport Service, The General Register Office.